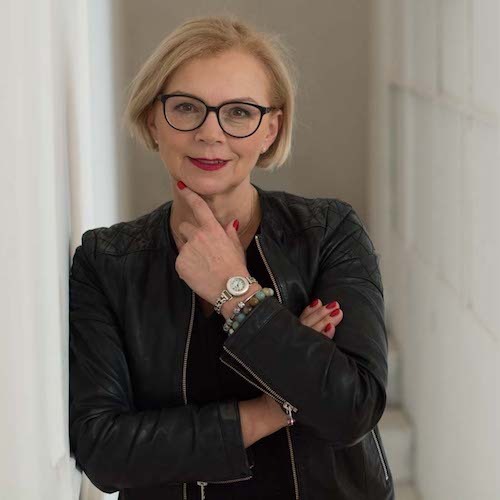 PhD of Psychology, Business Psychologist in Talent Management, Executive Coach and Coaching Supervisor accredited as a first person in Poland by Coaching Supervision Academy (UK) (accredited EMCC, approval ICF) and Izba Coachingu (Coaching Chamber in Poland). Business Psychologist with 19 years of expriences as a Manager of HR Projects, Trainer (recommended by the Polish Society of Psychology), Executive Coach. Accreditations: SFA Consultant, SHL tools, Extended DISC, CPA, ICC, Zen Coaching, Coaching Supervision CSA. I have many years expriences in being Psychotherapiest (Psychodynamic Apporach). I cooperate with the largerest Polish and an International companies. I am Co-author, Lectuer and Supervisor one-year post-graduate study Akademia Profesjonalnego Coachingu at Wyższa Szkoła Biznesu (University of Dabrowa Gornicza) and Co-creator of Forum Coachingu i Superwizji. Lectuer and Keynote Speaker of the Polish and International Univeristies e.g. Kozminsky Univeristy, Warsaw Univeristy of Technology Business School, Jagiellonian Univeristy, University of Economics in Katowice, University of Dabrowa Gornicza. Member of the Board: Coaching Review and the International Advisory Board of the ISCP International Centre for Coaching Psychology Research. Hon VP the International Society for Coaching Psychology.